100pct Non-Smoking The Homewood Suites by Hilton Houston West-Energy Corridor hotel is located in the heart of the Energy Corridor District in Houston Texas. The Homewood Suites by Hilton Houston West-Energy Corridor Texas hotel 74 suites are made of spacious studio and one-bedroom suites located across four floors. Every suite includes a fully-equipped kitchen with a full-size refrigerator microwave and coffeemaker. Each suite at the Homewood Suites by Hilton Houston West-Energy Corridor Texas hotel contains a hair dryer iron and ironing board fold out sofa bed and a 27** TV with numerous cable channels and pay-per-view movies. Suites also include complimentary high-speed Internet access phones with data port access and state-of-the-art easy to set alarm clock and a nice size work station. The newly built Homewood Suites by Hilton Houston West-Energy Corridor Texas hotel features a warm natural color palette with rooms containing mahogany furniture. The hotel provides security of electronic locks and all rooms open to well-lit interior corridors. Our on-site business center is open 24 hours to take care of your business needs. 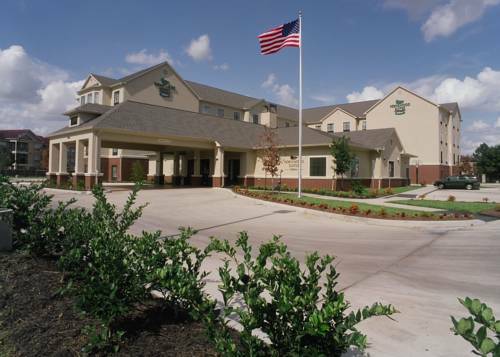 At the Homewood Suites by Hilton Houston West-Energy Corridor Texas be sure to take advantage of relaxing in our swimming pool or get a great work out in our exercise room. Save plenty of time to join us for our complimentary Suite Start hot breakfast and our Welcome Home Reception Monday through Thursday evening. Make yourself at home. All reservations must be guaranteed with a major credit card or advance cash deposit to hotel regardless of time of arrival. All reservations must be cancelled 24 hours prior to arrival unless a deposit is required. Policy subject to change. Variety of great steaks seafood and other items. Enjoy a variety of the finest Texas cuisine. Enjoy a casual dinner in a nice friendly atmosphere. Find a wide range of fresh homemade Italian food cooked to order in a interactive kitchen. Taste of Texas is well known for serving certified Angus Beef with excellent service. Enjoy all the traditional Italian dishes in a fun friendly atmosphere.